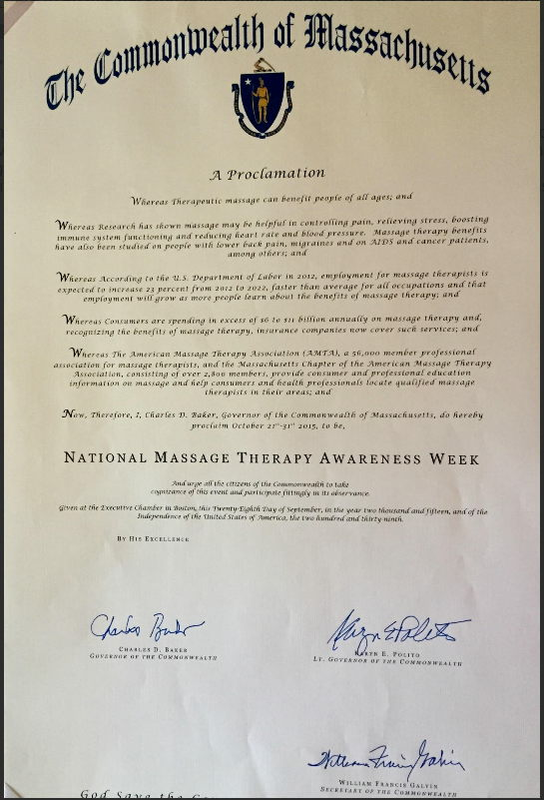 Show us how you are sharing the benefits of massage therapy with your community on Facebook and/or Twitter by using the hashtag #NMTAW2015 along with your story. You'll be entered to win a $75 AMTA-MA Education Credit!!! Given at the Executive Chamber in Boston, this Twenty Eighth Day of September, in the year two thousand and fifteen, and of the Independence of the United States of America, the two hundred and thirty-ninth.